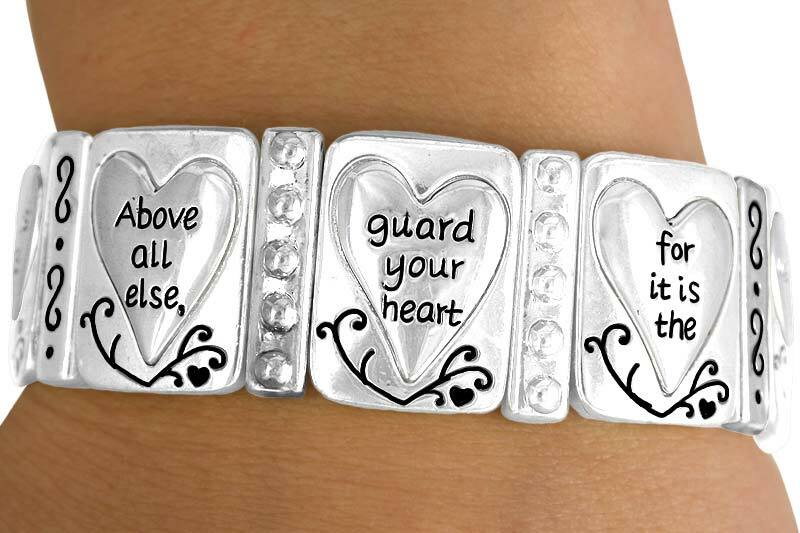 W10643B - "ABOVE ALL ELSE..."
Silver Tone Stretch Bracelet Reads, "Above All Else, Guard Your Heart For It Is The Wellspring Of Life. 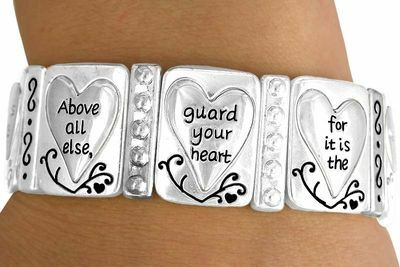 Proverbs 4:23." 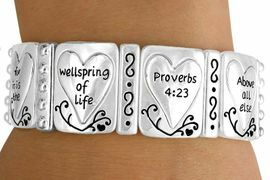 Scroll To The Bottom For An Available Assortment! W10645BA - "ABOVE ALL ELSE..."